Destiny: Rise of Iron (game, 2016). A major video game by Activision. Developed by Bungie. Official Trailer. Destiny: Rise of Iron is a major video game by Activision, developed by Bungie. Official Destiny: Rise of Iron - The Dawning Trailer. The Iron Lords were a group of ten legendary Guardians established before the rise of The Last City and the creation of the Vanguard. They were renowned for their patrols around the City during the Battle of Six Fronts and the building of the Wall. The Iron Lords had a fortress located on Felwinter Peak called the Iron Temple, which was used as their primary stronghold in Old Russia. Over a hundred years ago, the Iron Lords sacrificed their lives to contain an ancient technological plague called SIVA, a Golden Age nanotechnology characterized by self-replication and self-assembly. SIVA was responsible for the great expansion during the Golden Age as it built entire cities, however, it turned against humanity and became a significant threat. Lord Saladin was the only known Iron Lord that survived against the SIVA virus. Since that time, he has been training Guardians in the Iron Banner in case SIVA would break free and attempt to plague the world again. 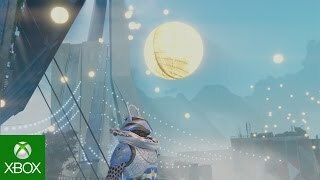 In the present day, a year after the Taken War, Lord Saladin sends the Guardian to Felwinter Peak to fend off the Fallen at the Iron Temple until he can arrive with reinforcements. Ghost ponders why the Fallen are there, to which they soon discover that the Fallen are being led by Sepiks Prime, now Sepiks Perfected, a former enemy thought to be dead. This confirmed Lord Saladin's fears: SIVA had been awakened by the Fallen and revived Sepiks. After securing the Iron Temple, the Guardian and Ghost meets Shiro-4, a Hunter and one of the Vanguard's most trusted scouts, as well as a friend of Cayde-6. Shiro-4 has the Guardian travel beyond the Wall into the Plaguelands. There, it is learned that the Splicers (bio-engineers) faction of the Fallen House of Devils, referred to as Devil Splicers, have been utilizing SIVA to augment themselves and become more powerful. PvE features a new zone on Earth called the Plaguelands, marking the first time that there are two playable Patrol zones on one planet. There are two Patrol nodes on Earth, one for the original Cosmodrome and one for the Plaguelands. Areas of the original Cosmodrome Patrol zone have been updated to reflect the theme of the expansion, such as weather changes, and players being able to see where the Fallen have breached the Wall (the original versions of these areas are still accessible). There is also a new social space (the Iron Temple on Felwinter Peak), a new strike, and a new raid called "Wrath of the Machine"; the normal raid unlocked on September 23, the heroic version unlocked on October 18. Two previous strikes have been updated and feature SIVA. A new limited-use flaming battle axe, called the Iron Battle Axe, is featured in certain missions and events. The Solar-based Scorch Cannon, introduced in House of Wolves returns, along with the addition of Arc and Void variants, the Shock Cannon and Null Cannon. The highest obtainable Light level was increased to 400 upon release of the hard raid. Similar to the Sparrow Racing League event in December 2015, the expansion features a "Rise of Iron Record Book" that allows players to track their progress through the expansion's content. 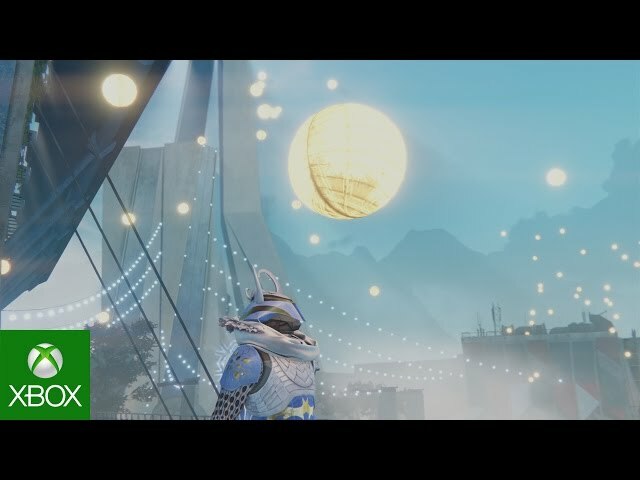 A new public event called "Archon's Forge" was also added; it is similar to The Taken Kings Court of Oryx event and can be accessed in the Plaguelands. Destiny: Rise of Iron was scheduled to be released by Activision on September 20, 2016. This video game is available for the following platforms: PlayStation 4 and Xbox One.